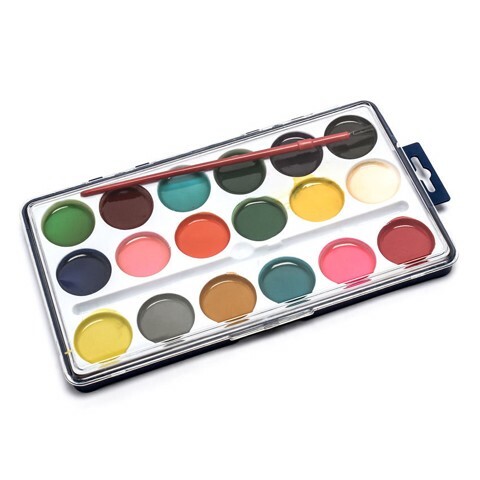 Paint Set Water Colour W/Brush. Case Is 12 x 22cm. Each Paint Circle Is 28mm. 18 Colour Circles Per Set. PP Plastic. 130G Packaging: Polybag Header Card.